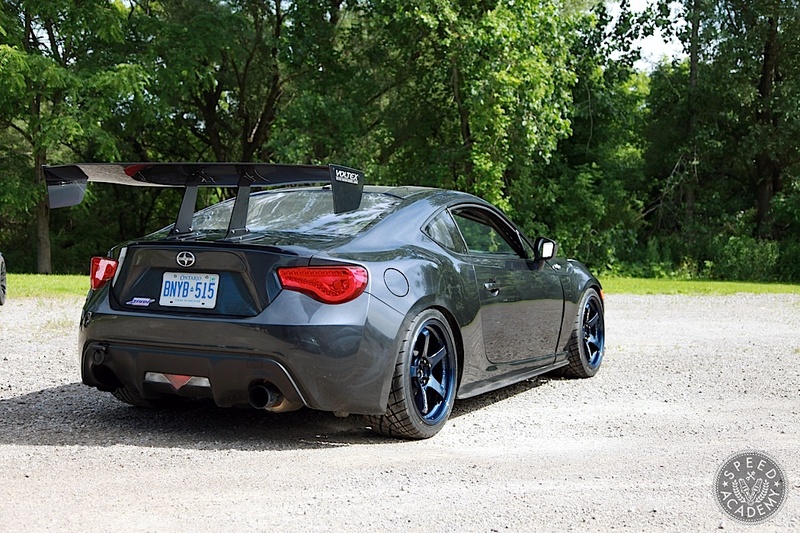 Ontario-1500 FRS Goes JDM In A Big Way! 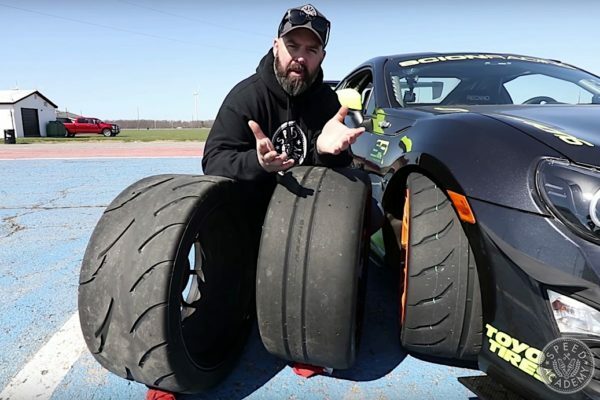 Last year’s FR-S build was a ton of fun and a ton of work, since we started with an adopted Tuner Challenge car that we more or less unbuilt before rebuilding. 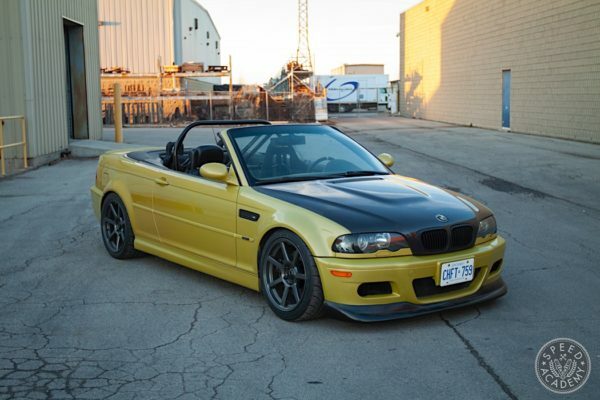 This year we don’t have to worry about fixing any pre-existing issues, which means we’re free to focus on dialling in this little rear-wheel drive corner carver to our specific wants and needs prior to torture-testing it at the week-long Ontario-1500 event in September. Part of our plan this year is upgrading the aerodynamics package to make some serious downforce, since we can run the car at a low enough ride height for Ontario-1500 that things like a front splitter, rear diffuser and GT wing can really do some serious work, especially at higher speed circuits like Mosport and Calabogie. We’re sad to see the Zele wing we ran last year go, though. It has an undeniably distinctive style (that people either loved or hated) and is a perfect TimBit snack pack tray, but it’s time to go big…Voltex big! 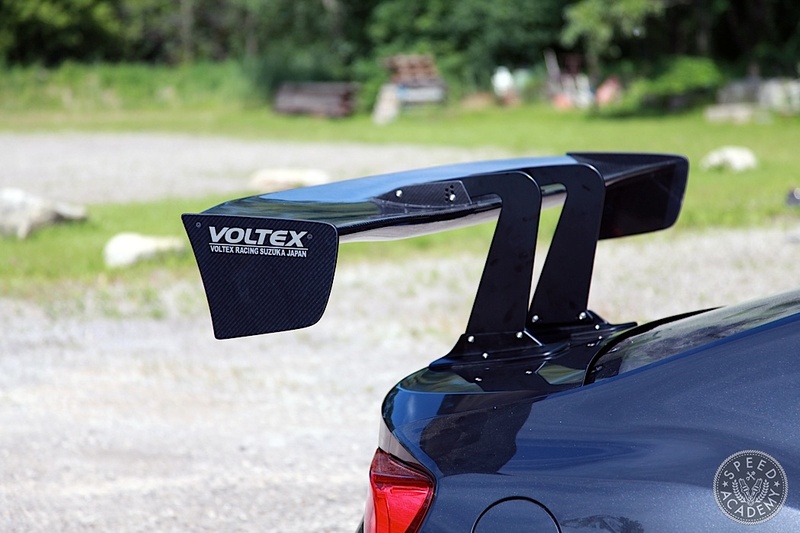 And this isn’t just any Voltex wing, either. 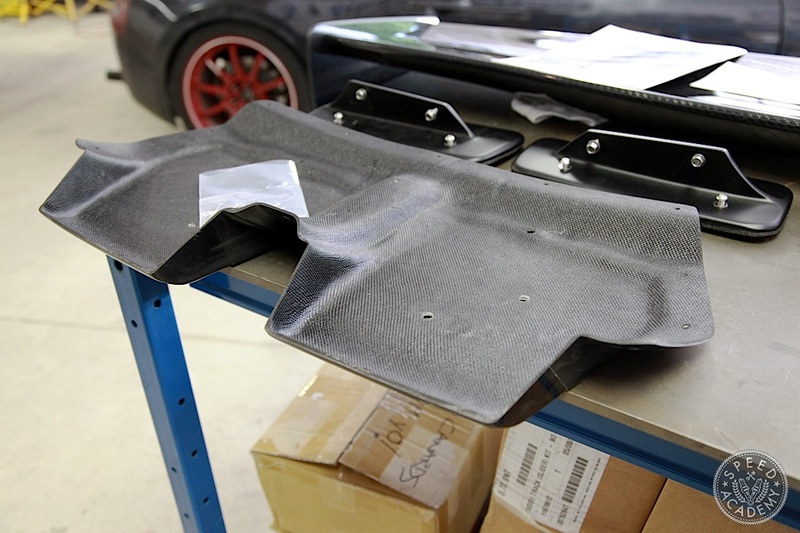 No, this is a swan neck Type 7 GT wing sized specifically for the FR-S, and as you’ll see this is a very serious piece of aerodynamics and a beautifully crafted and thought out product. 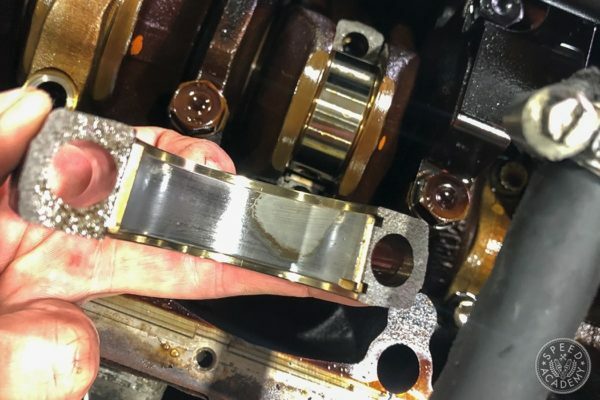 But first, some specs, starting with the fact that we sourced this wing from our friends at Evasive Motorsports, one of the biggest Voltex distributors in America and a shop that has developed a close working relationship with this Japanese aero specialist. In fact, Evasive’s Time Attack FR-S runs an even more aggressive Voltex swan neck wing than ours, not to mention an insanely awesome aero package from nose to tail. The Type 7 GT wing we’ve chosen has a 1600mm span (or length, from side to side), a 355 cord (or depth from front to rear), and an aggressive airfoil profile that will allow it to generate big downforce as wind speeds over it increase. And because it’s mounted using swan neck stays, the underside of the wing where the downforce is generated has a continuous and uninterrupted surface, so airflow is far less disrupted compared to traditional bottom mounts and this translates to significantly more downforce. 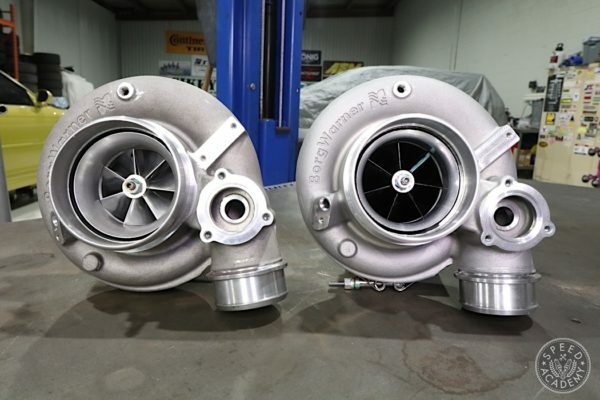 In fact, renowned UK aero specialist Simon McMeath (of Racecar Engineering magazine fame) did a wind tunnel test comparing bottom mounted and swan neck top mounted systems with results that clearly show virtually no flow separation when using swan neck mounts and significant separation across the middle third of the span when using bottom mounts. As impressive as the airfoil and swan neck mounts are, we were equally impressed by the FRP backing plate Voltex provides. The plate is contoured to the underside of the trunk lid, and although some trimming to the inner skin of the trunk lid is required before riveting the plate in place, once we figured out exactly where to trim it was a very simple job. 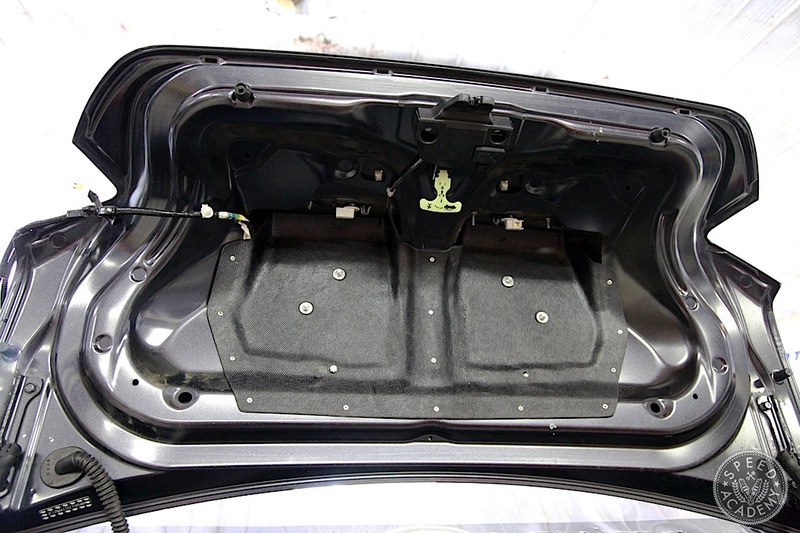 As you can see, this plate provides a ton of reinforcement to the trunk lid, allowing the downforce generated by the wing to be effectively transferred to the chassis rather than wasted by trunk lid flex.